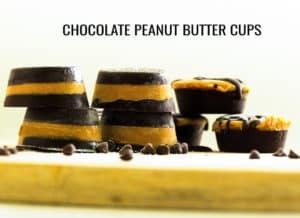 Crunchy, chocolatey, peanut butter cups are the ultimate sweet treat and this low-carb version will single-handedly save you from falling off the keto-wagon. Make them in 30-minutes and stash in the freezer immediately! Chocolate Peanut Butter Cups is one of the recipes from the NEW Dessert-in-5 recipe eBook from Tasteaholics. 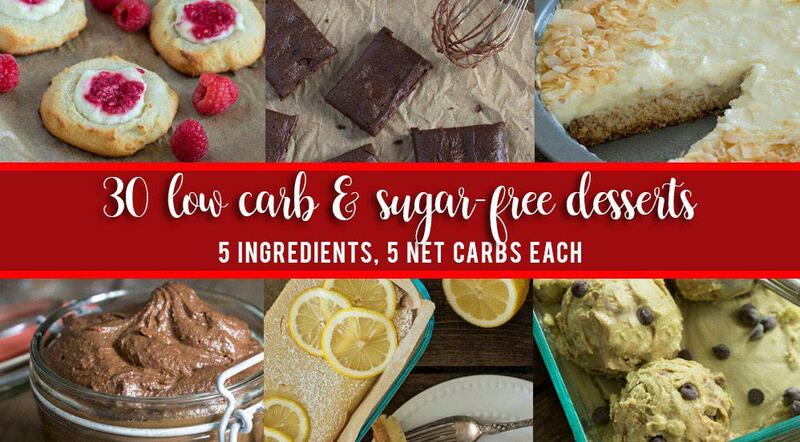 The eBook has 30 delectable low-carb dessert recipes, all with 5 ingredients, 5g net carbs, and each recipe takes only 5 steps. What could be easier? But first, the Baking Day (it wasn’t very low-carb)….. I oversaw several batches of the Toffee Sauce which was made of brown sugar, cream and butter. 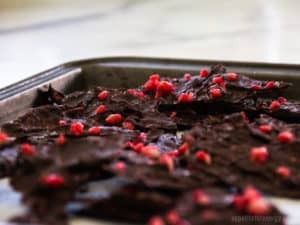 I was thinking about how I could make a low-carb version of this using Sukrin Gold, a low-carb brown sugar replacement made with erythritol. Something for another day! The cakes turned out beautifully and I made it home with thoughts of sweet treats. I realized that I had struck gold when I remembered that I had a batch of Chocolate Peanut Butter Cups sitting in the fridge!! 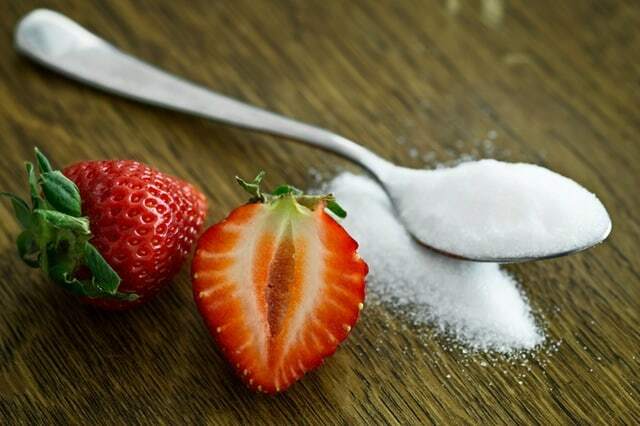 To learn more about low-carb sugar alternatives, click here. When you’ve got young kids, you are surrounded by bake stalls and sweets. My kids probably eat less carbs than average but they don’t eat low-carb like I do, so temptation is all around. Rather than trying to have will-power of steel, I try to have something sweet in the fridge to satisfy my sweet cravings every now and then. 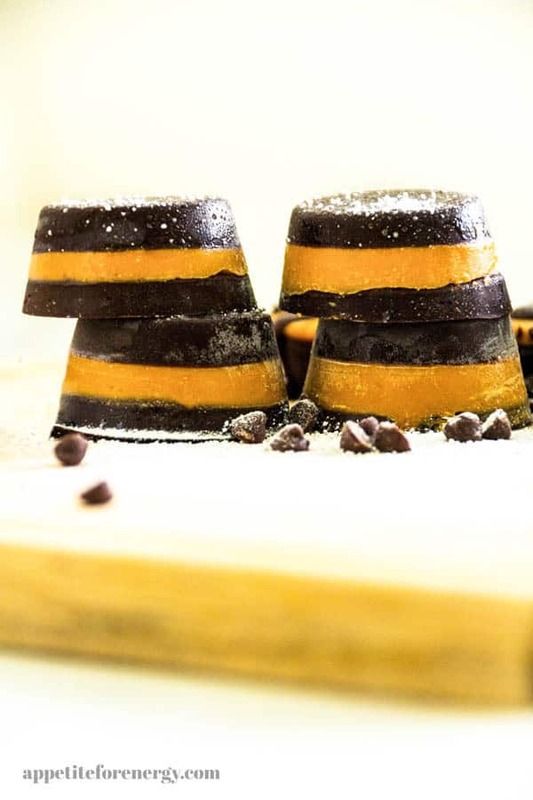 If you have a sweet tooth, you will love these low-carb Chocolate Peanut Butter Cups. They take about 20-25 minutes of prep time and use only 5 ingredients like all Dessert-in-5 recipes. Each layer needs to set in the fridge or freezer, so allow some time for that. Trust me, it will be worth the wait! Chocolate Peanut Butter Cups are strictly for adults only! Stash them in the fridge or freezer where the kids won’t find them. Check out the NEW Dessert-in-5 recipe eBook from Tasteaholics! For more awesome recipes like this and lots of Low-Carb info, visit Tasteaholics. If you have a sweet tooth, you will love these Low-Carb Chocolate Peanut Butter Cups by the Tasteaholics. Only 5g net carbs & 5 ingredients. You'll need 20-25 mins to prep these, and at least an hour of chilling time in between the layers. 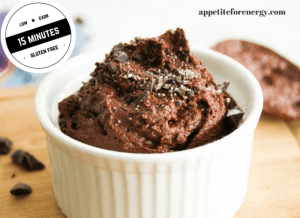 Melt the chocolate & coconut oil in a double boiler. Add 2 tbsp. erythritol and salt and stir to dissolve. Equally divide half the chocolate mixture into 8 silicone cupcake molds. Chill until set. Melt peanut butter in the microwave in 30 second intervals. Add 2 tbsp. of erythritol & stir. Equally divide the peanut butter mixture into the molds over the hardened chocolate. Chill until set. Top with the rest of the chocolate and chill until set. 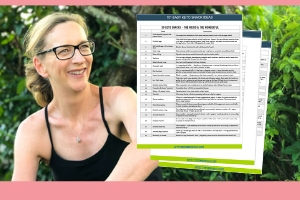 Get the NEW Dessert-in-5 recipe eBook from Tasteaholics! Note each serving is 2 peanut butter cups and contains 5g of net carbs.